Trademarks and copyrights are tricky territory, but are especially frustrating when faced with the task of making a film. For years, the entertainment industry has found ways around using real-life copyrighted words and logos in order to film a specific product without paying hefty fees. One such instance of brand use gone wrong was the legal action taken for The Hangover Part II's unapproved mention of Louis Vuitton. To avoid legal controversy, some writers opt for fictional brands (like The Acme Corporation from Looney Tunes) while others go the lazy route and avoid any sensitive words or logos altogether (like when a character simply says, “I’ll have a beer”). 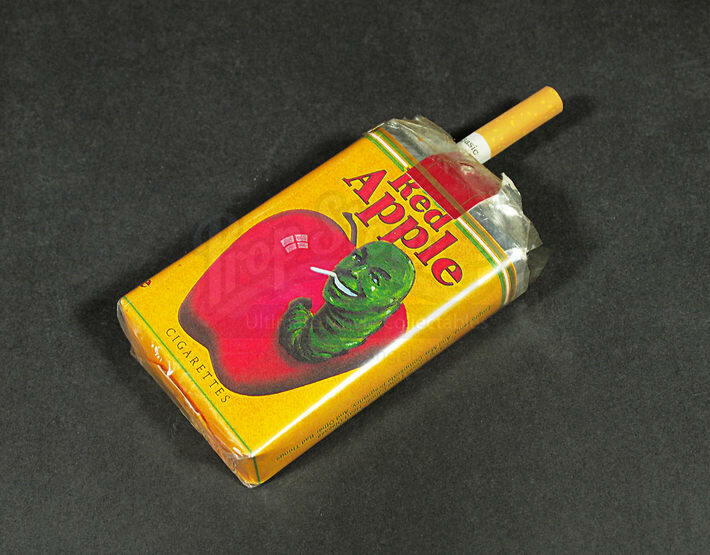 Quentin Tarantino went so far as to create his own cigarette brand, named Red Apple. You’ll notice a number of his characters smoking from the fictional Red Apple pack. You may also recognize the name Morley Cigarettes, but like Red Apple, Morley Cigarettes do not exist. This fake brand appeared years ago and has been the go-to cigarette brand for filmmakers. It’s an effective way to show a brand without actually showing a brand—you’ll notice the design looks strikingly similar to Marlboro Cigarettes. Morley Cigarettes have been shown in a number of productions, including the original Beverly Hills, 90210 from the ‘90s, Buffy the Vampire Slayer, Heroes, Platoon, Prozac Nation, and The X-Files. Fictional companies like Red Apple or Morley may be an easy way to evade controversy, but sometimes these names end up doing even more than simply avoiding a lawsuit. Take Bubba Gump Shrimp as an example. After its creation in the film Forrest Gump, the Bubba Gump chain was sparked and ultimately was a huge success. But this is not just a cheesy, fan-driven establishment; Fertitta Entertainment—the company that owns Bubba Gump—grossed $3.4 billion in revenue last year. To give you another idea of how influential fake brands can be, look at the Bull & Finch Pub in Boston. Originally known for being the exterior shots of the bar in Cheers, the establishment eventually renamed itself ‘Cheers Beacon Hill’ due to the popularity of the show. The bar is a magnet for tourists and is frequently featured on lists promoting Boston nightlife. Countless fictional brands have become their own successful organizations in some way or another. A prime example is Ollivander’s, the wand shop in the Harry Potterseries, which has stores with actual wands for purchase in Universal Studios’ theme parks. A real-life version of a store like Ollivander’s will have a huge economic impact—especially when it’s already part of the $25 billion Harry Potter franchise. Arguably the most influential company ever produced from fiction is The Willy Wonka Candy Company. The company was inspired by Roald Dahl’s Charlie and the Charlie Factory and was subsequently sold to Nestlé in 1988. 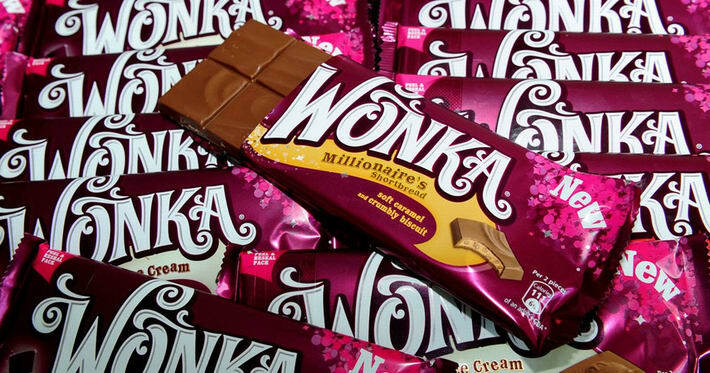 Though the Wonka brand was discontinued in 2015, the legacy lives on through its candy that is still in production (e.g. Nerds, Fun Dip, Bottle Caps, and Everlasting Gobstoppers). And Nestlé—fiscally a huge company whose current revenue is around 89.46 billion CHF—is indeed smart for continuing production of the popular Wonka products. It’s hard to say why fictional brands take off in popularity, but their cultural and fiscal impact is truly incredible. A Morley cigarette may be more recognizable than an actual cigarette brand—even though it is impossible to ever buy a pack in real life. The familiar atmosphere of Bubba Gump Shrimp or the taste of Wonka candy may be a thrilling experience for certain fandoms, but the cash flow brought in by them is even more impressive.